Defence expenditure is likely to rise as this region and beyond continue to face traditional and non-traditional threats. The role of the defence industry is also changing dramatically, as new and changing threats require further research and development, increasing the overall costs and pricing of defence products and services. This was the gist of the message conveyed by Dato’ Sri Najib Razak, the Prime Minister of Malaysia, at the opening ceremony of the Langkawi International Aerospace and Maritime 2017 (LIMA ’17) exhibition this morning. 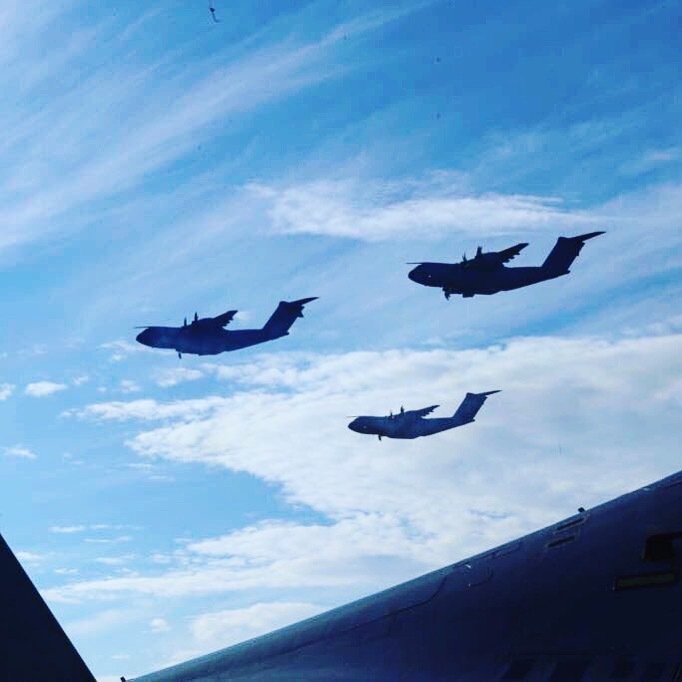 “We need to equip our fighting men with the capabilities required to face modern warfare, both symmetrical and asymmetrical, and LIMA ’17 brings together major aerospace and maritime firms from around the world to demonstrate their state-of-the-art static and aerial displays and cutting-edge technologies,” he added. One of the exhibitors, Leonardo Helicopter Division, a division of the Leonardo S.p.A that is headquartered in Italy, celebrated today the successful reaching of the impressive 100,000 flying hours milestone with the Weststar Aviation Services’s AW139 fleet. Weststar Aviation Services is the largest South East Asian offshore helicopter services provider and largest helicopter operator of the AW139 in Asia. 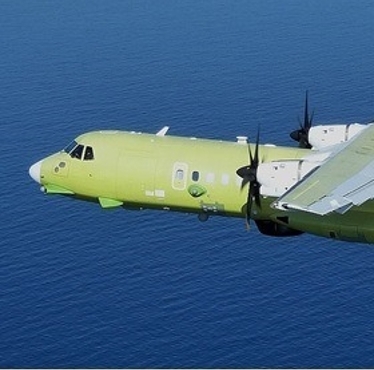 Leonardo has also brought the ATR-72MP aircraft which is being proposed for Malaysia’s requirement for an advanced new maritime patrol capability. In the Electronics Warfare segment, Leonardo has signed a Memorandum of Understanding with Hensoldt (the new name for Airbus DS Electronics and Border Security) to offer Mode-5 IFF (Identification Friend or Foe) solutions to customers around the world. This collaboration between two European leaders in defence electronics technology shows how, by joining forces, the team can position itself as market leader for cutting-edge new requirements. The two companies, working together as “Team Skytale”, have already been selected as preferred bidder by the UK Ministry of Defence to upgrade IFF systems on more than 400 land, sea and air vehicles. The IFF technology allows operators to electronically identify friendly forces, distinguishing them from potential enemies. It does this by sending out an interrogation signal to unidentified platforms and verifying the automatic responses that are sent back, effectively a modern-day challenge and password system. Ensuring that ground, air and naval crews can reliably recognise their compatriots is one of the main ways of avoiding ‘friendly fire’ incidents. In 2020, all NATO nations are mandated to switch over to the new, more-secure ‘Mode-5’ version of the technology and other nations looking to operate alongside NATO forces will also need to be able to interact with the new standard. Mode-5 uses the latest cryptographic techniques to avoid the threat of deception by adversaries. In another development, Thales has been selected by AirAsia to supply avionics systems on AirAsia’s new fleet of 304 A320neos. Thales will equip the 304 single-aisles with its market leading Flight Management System (FMS), the navigation solution of choice for Airbus aircraft, alongside the THALES/ACSS T3CAS surveillance platform, the preferred solution for all Airbus single aisle aircraft. Thales has been partnering with AirAsia, leading LCC in Asia, since 2005, forging a close relationship in support of the airline’s growth strategy. 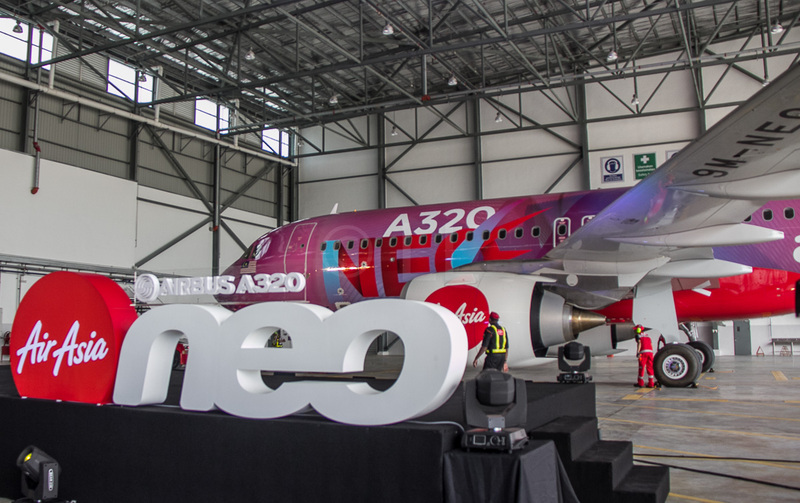 AirAsia already equips their entire Airbus fleet with Thales systems and has selected the group for all maintenance and support operations for Thales systems equipped across their entire A320 fleet of 200 aircraft. In addition to the avionics suite, Thales will continue to provide a Repair-by-The-Hour (RBTH) long-term maintenance contract to support AirAsia’s fleet expansion. The agreement provides guaranteed turnaround times on repairs and offers a commitment of reliability with reduced operational risk. Meanwhile, Malaysia’s Minister of Defence, Dato’ Seri Hishammuddin Tun Hussein, met with representatives from five countries including Pakistan, Turkey, Indonesia and Qatar to present his view on how to combat the Da’esh threats. The establishment of the King Salman Center of International Peace was also on the agenda of this meeting. Making its debut in Langkawi is the Republic of Korea Air Force’s 53rd Air Demonstration Group. 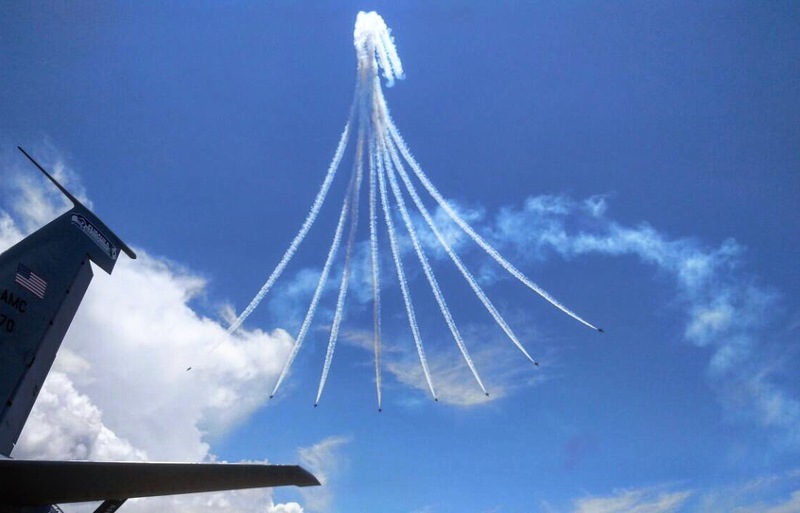 Commonly known as the “Black Eagles” the RoKAF team buzzed the skies of Langkawi in their KAI T-50B Golden Eagle supersonic advanced trainers. The T-50B is one of the few supersonic trainers currently available in the world. The Russians is well-represented. The “Russian Knights (Russkiye Vityazi)” aerobatic team showcasing their Sukhoi Su-30SM aircraft for the first time outside Russia, while the Royal Malaysian Air Force performs aerobatics in its Sukhoi Su-30MKM. The air aces of the two countries, whose performances constantly evoke admiration of the audience, highly praised the flight characteristics of their supermanouverable aircraft. President of Irkut Corporation Oleg Demchenko marked the high skills of pilots and their ability to use the maximum extent of the fighter’s capabilities while First vice-president of UAC Alexander Tulyakov said: “Positive evaluation of aircraft given by pilots is very important for us – the developers and manufacturers”. 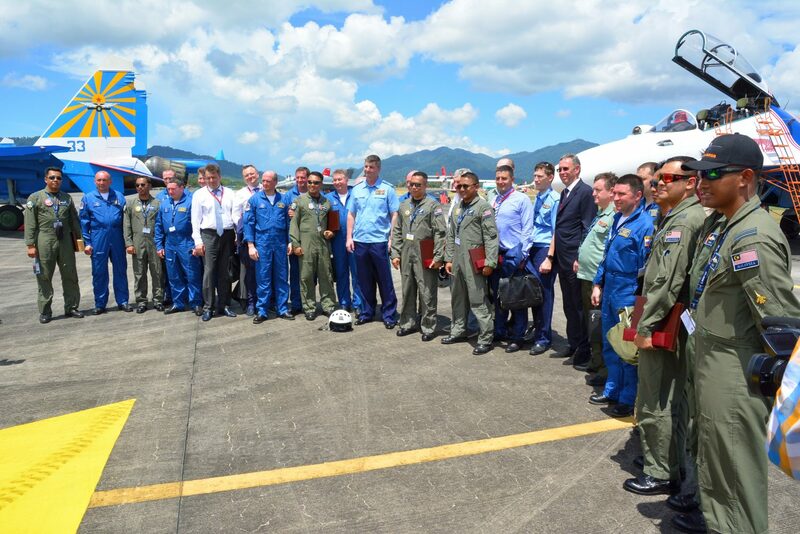 The meeting resulted with a joint photo shoot against the background of Su-30SM and Su-30MKM aircraft. Russian’s Rostec State Corporation is working with the government of Malaysia to expand cooperation through the supply of civilian products and aviation. 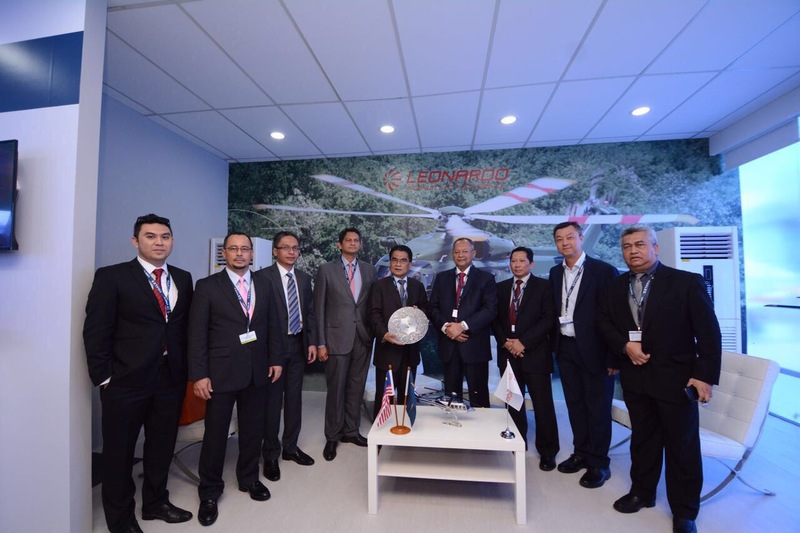 “Over the last 20 years Malaysia has been a strategic partner of the Rostec State Corporation. We are actively involved in military and technical cooperation in a number of areas: aviation, the army and the military navy, and in recent years our cooperation has gained momentum. We are currently engaged in arms supply programs and are upgrading technology that was previously supplied to Malaysia. We are also looking to extending our cooperation to civil areas that have growth potential: electronics, composite materials and IT. The civil aviation market, especially the helicopter sector, is also showing great potential for us,” said Head of the joint delegation from Rostec and Rosoboronexport at the 2017 LIMA exhibition Viktor Kladov, Director for International Cooperation and Regional Policy Department of the State Corporation. “LIMA-2017 is the most important event for the aviation and military navy markets of Malaysia and the surrounding region and our participation in it is a long-standing tradition. LIMA-2017 is attracting representatives of various countries of this region and we are looking to conducting fruitful negotiations both with the Malaysian Government and delegations from other countries,” he pointed out. 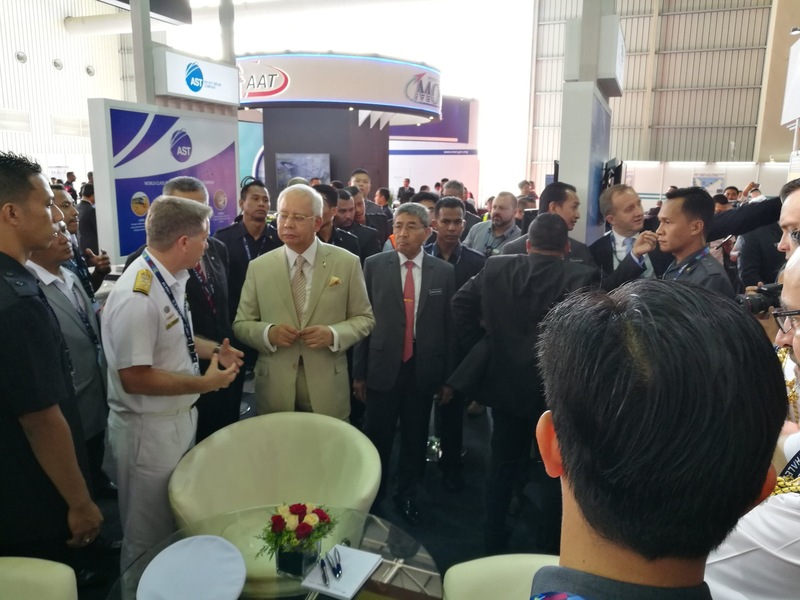 In the afternoon, the Prime Minister Najib Razak officiated the Maritime Segment which also involved major exhibitors such as THALES, MAST, ACS and SAAB, showcasing the latest technologies in defence products and a demonstration by the elite forces of Malaysia’s security enforcement agencies. This year’s opening gimmick had the elite forces searching for a box containing a key for the Prime Minister to activate the launch sequence. The key was located using technologically-advanced, unmanned equipment that assisted the forces, including from the Royal Malaysian Navy (RMN), and was handed over to the Chief of Navy, Admiral Tan Sri Ahmad Kamarulzaman Haji Ahmad Badaruddin who then handed it to the Prime Minister. 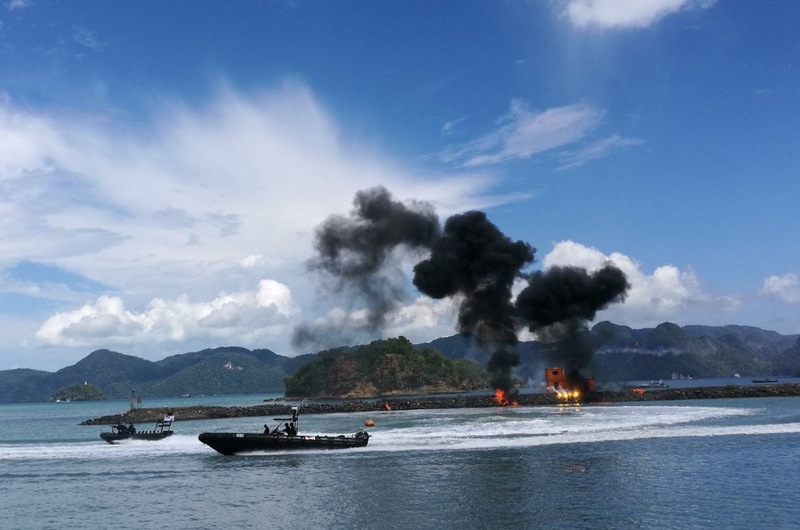 Following the launch, a live action demonstration from the RMN Special Forces, the Malaysian Maritime Enforcement Agency, the Royal Malaysian Police and the Marine Department of Malaysia with the setting being a hostage rescue mission at sea. Later, Najib officiated the naming ceremony of the Malaysian Maritime Enforcement Agency’s latest Offshore Patrol Vessel, the “KM Pekan”. In attendance were Defence Minister Hishammuddin Tun Hussein as well as Japan’s Deputy Minister of Land Infrastructure, Transportation and Tourism, Tanaka Ryosei. The “KM Pekan” is one of two offshore patrol vessels donated by the Japanese government to the MMEA in 2016. Both vessels are 92 meters in length with speed of 20 knots and endurance of 30 days, suitable for enforcement missions in the South China Sea as well as in eastern Sabah. Both are equipped with a helideck and state-of-the-art radars. According to the Director-General of the MMEA, Admiral (Maritime) Datuk Seri Ahmad Puzi Ab Kahar, a set of crew has been sent to Japan to bring home the second vessel.